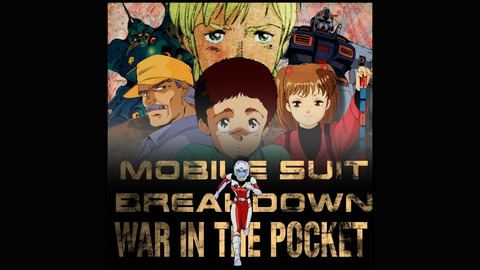 This week, we recap, review, and analyze Mobile Suit Gundam episode 42/41 “Space Fortress A Baoa Qu” (宇宙要塞ア·バオア·クー) and 43/42 “Escape” (脱出), discuss our first impressions, and provide commentary and research on: some Japanese vocab, what the heck is an A Bao A Qu?, the Kyūjō Incident, and how Kai made Thom think of the Illiad. - Myou/みょう/妙 definition from Jisho. - Me/め/奴 definition from Jisho. - Two Tofugu articles explaining keigo (and Thom was right, both honorific language and humble language fall under the umbrella of keigo). "A Plain and Literal Translation of the Arabian Nights' Entertainments, Now Entituled: The Book of The Thousand Nights and a Night. With Introduction Explanatory Notes on the Manners and Customs of Moslem Men and a Terminal Essay upon the History of the Nights. Translated and edited by Richard Francis Burton." - Review of a new translation that mentions the debate around the A Bao A Qu citation. - The connection between Final Fantasy and Borges. - Japanese edition of 幻獣辞典 (Genjyuu Jiten). - Borges and Japan, article by Koichi Hagimoto, published in journal Chasqui, Vol. 44, No. 2, November 2015. - Wikipedia and Britannica articles about Jorge Luis Borges. - Citation for the book itself: The Book of Imaginary Beings, Jorge Luis Borges, 1957 (trans. 1969 by Norman Thomas di Giovanni, 2006 by Andrew Hurley) published by Dutton in 1969 and Penguin in 2006. - Wikipedia page on the Kyūjō incident. - Japan Times and Medium articles about the Kyūjō incident. - Wikipedia explanation of Kokutai and it's shifting definition through time. Toland, John. Rising Sun. Pen & Sword Military Classics, 2005. - Section from Hyginus' Fabulae about Protesilaus. - Another section from the Fabulae, listing the suitors of Helen. - A chronicle of the Trojan war from Dictys of Crete and Dares of Phrygia, includes Protesilaus in the Chronicle of Ships. - From the Library by Apollodorus, a brief version of the Protesilaus story. - English summary of some sections from the Epic Cycle (the series of poems that cover the whole of the Trojan war, of which the Iliad and Odyssey are the main surviving texts). - Summary of Protesilaus' story. - Relevant Wikipedia pages: Protesilaus, Laodamia of Phylace, Suitors of Helen, Cypria. - The memorial poem: Alexander Posey's "The Conquerors." - Song that plays under the memorial poem: "Parisian" by Kevin MacLeod. 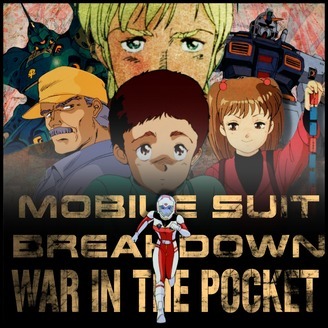 You can subscribe to the Mobile Suit Breakdown for free! on fine Podcast services everywhere and on YouTube, follow us on twitter @gundampodcast, check us out at gundampodcast.com, email your questions, comments, and complaints to gundampodcast@gmail.com.